Thick padding for superior comfort. Any problem within 3 months, do not worry,pls do not hesitate to contact with us at the first time, We will do best to help and solve. 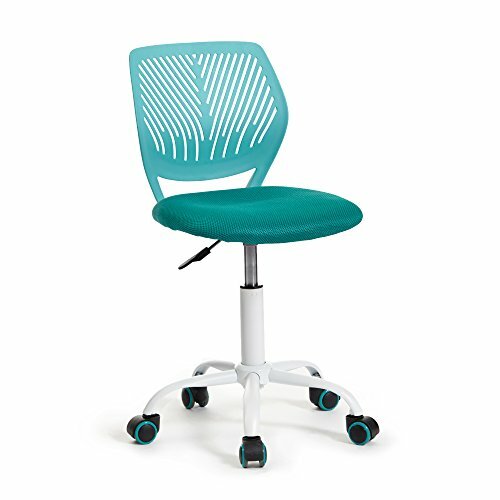 Bright Color student chair with white painted Metal 5 castor-wheel base, Best as kids living room chair, study desk chair, medium size but durable. 360 degree Swivel chair for home. Easy to move and convenient to get the books, learning material ect. If you have any questions about this product by GreenForest, contact us by completing and submitting the form below. If you are looking for a specif part number, please include it with your message.